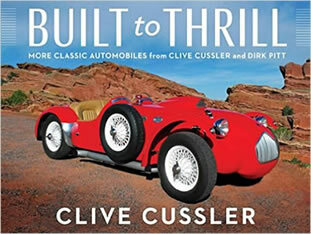 "Dirk Pitt is oceanography's answer to Indiana Jones," praises the Associated Press. 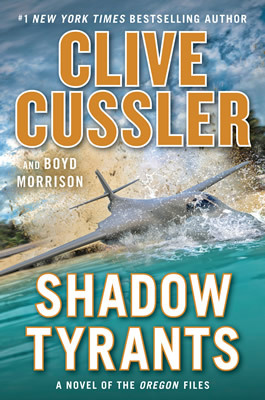 "Exotic locations, ruthless villains and many narrow escapes—Cussler's fans come for swashbuckling [and] he delivers." And now the Cusslers bring us Pitt's most dangerous adventure of all. It is the greatest advance in American defense technology in decades—an attack submarine capable of incredible underwater speeds. Nothing else in any other nation's naval arsenal even comes close. There is only one problem: A key element of the prototype is missing—and the man who developed it is dead. At the same time, ships have started vanishing mid-ocean, usually never to be found again, but when they are, sometimes bodies are found aboard . . . burned to a crisp.What is going on? And what does it have to do with an Italian submarine that itself disappeared in 1943, lost at sea? Or was she? 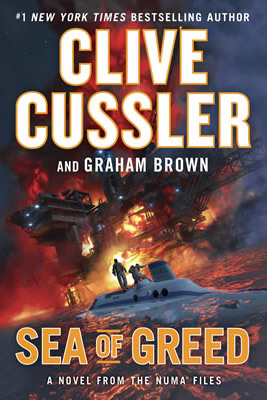 It is up to NUMA director Dirk Pitt and his team, aided by a beautiful NCIS agent and by Pitt's children, marine engineer Dirk and oceanographer Summer, to go on a desperate international chase to find the truth, from Washington to Mexico, Idaho to Panama. What they discover at the end of it is a much, much greater threat than even they imagined. If they don't succeed in their mission, the world as they know it might end up a very different place—and not a pleasant one. 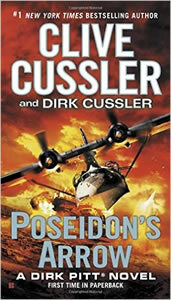 Filled with breathtaking suspense and extraordinary imagination, Poseidon's Arrow is further proof that when it comes to adventure writing, nobody beats Clive Cussler.